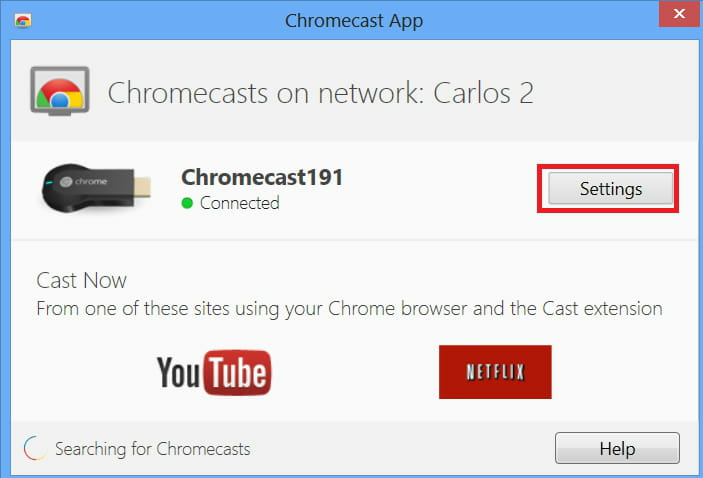 Run the Chromecast setup app by double clicking on its desktop icon. In the window that opens, click the Settings button. 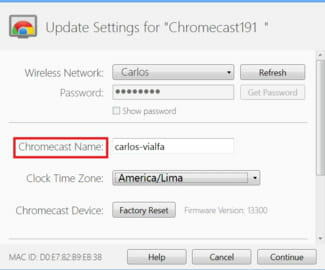 Next to the ChromeCast Name field, type a name for your device and click Continue. Published by deri58. Latest update on October 31, 2013 at 04:49 AM by deri58. This document, titled "Rename your Chrome Cast," is available under the Creative Commons license. Any copy, reuse, or modification of the content should be sufficiently credited to CCM (https://ccm.net/).